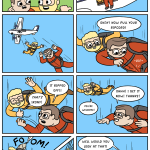 Okay last skydiving comic for a while, I promise. 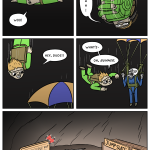 Oops oops very nearly forgot to upload the new comic!! Crisis averted everyone, you can now cease cannibalising one another.